The court found that the two trademarked phrases were obviously dissimilar, noting that the only common word between the two was the word “love,” which can’t be trademarked and couldn’t form the basis of an infringement claim. 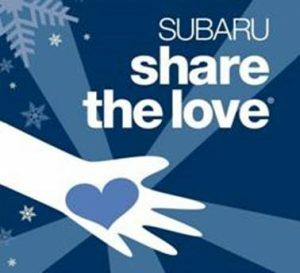 The court also found that the two designs were not substantially similar, stating, “[Plaintiff’s] design includes a hand that is circumscribed by a heart and includes an entire body; Subaru’s design includes a hand that radiates blue beams and is not connected to a body. Considered in their entireties, the designs are so facially dissimilar that they cannot plausibly create a “likelihood of confusion.” For these reasons, the court also declined to find that trademark dilution had occurred. The court also declined to find copyright infringement, federal unfair competition, California dilution and trademark infringement, and California false advertising, citing the same dissimilarities in the marks as the basis for denying all claims. Accordingly, the court affirmed the district court’s findings. The panel at the Ninth Circuit Court of Appeals was Chief Judge Sidney Thomas; Carlos F. Lucero Circuit Judge (10th Circuit sitting by designation); and Circuit Judge John B. Owens. The underlying cause number in the Northern District of California is 3:16-cv-03384-MMC (Senior Judge Maxine M. Chesney) and the Opinion No. at the Ninth Circuit Court of Appeal is 16-16840.